You would think that South America's tropical paradise and birth place of samba, Rio De Janeiro, has its fair share of salsa. Unfortunately, it is not the case. 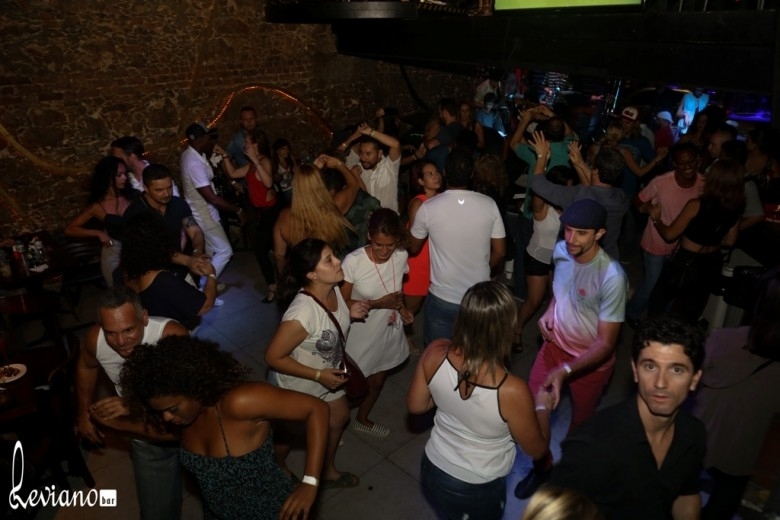 It took us a while to understand that there is really only one weekly salsa party in this music and dance-driven city. All the other occasional parties have to be researched on a weekly basis. And it is not easy to find info about them. Especially if you don´t speak Portuguese. In general, don´t expect much of the salsa parties in Rio. They are small, and there are only a few good dancers. As a follower, you should be ready to dance on 1, on 5, on 2, on 3, on 6, on 4, on 7 and on 8… often during even one dance. Most salsa dancers in Rio move around in Cuban/forro style, there is not much crossbody around. Hence, as a leader don´t try to keep the girls on a strict line, you´ll both enjoy the dance more. Thursdays: Leviano Bar, Av. Mem de Sá 47, Lapa. The party has a DJ and a live salsa band on the first floor and the second floor has a live forro band. It attracts a lot of non-dancers, so the place is always full and so is the dancefloor. The place and the party itself is cool and full of energy, but don’t expect a lot of good dances. It's still worth going! Where to find other salsa parties in Rio? Below I will share a few resources for finding information about occasional salsa parties. I have to warn you that all parties are not posted in all of the groups, so you really have to do your research for your desired dates. FB page: Salsa no Camarim – this dance school, lead by Fernando Schellenberg and Nayara Melo, organizes a monthly social. 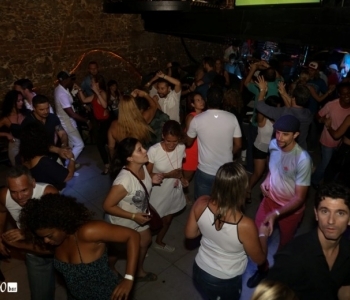 This is one of the best salsa parties in Rio, as it is only for dancers; the level is higher than in other places, and it’s a friendly event. It's the only event in town where crossbody is the prevalent style. FB page: Orquestra La Original de Música Latina – a good salsa band based in Rio. They hold concerts in various locations around the city. Makes sense to keep an eye on their page wall, to see if any open event is coming up. FB page: Escola de Dança e Centro Cultural Jaime Arôxa – this school sometimes organizes weekend salsa parties (3-4 rooms with salsa+zouk+samba+forro), usually 1-2 during a month. Sometimes the parties are empty (at least for salsa), other times can be good. It’s a gamble. Researching the above list of salsa info resources, you should find the majority of parties in Rio de Janeiro. There are numerous other small schools who occasionally hold salsa socials as well and not post about it in the generic FB groups, but for this you'll need to do your own research. Sorry for not being able to give more concrete and structured information for all you salsa fans, but this is Rio de Janeiro.